A MUST SEE! 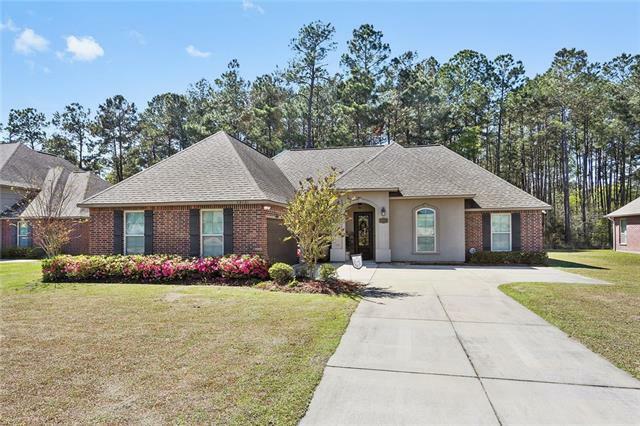 This beautifully maintained 4 bedroom /2 bath home is located in a neighborhood that offers convenience to I-12 and is minutes to Downtown Hammond. With upgraded features like Satin Paint, Upgraded Carpet, and Patio Gas Drop, this home has everything you need and want. Custom Cabinets with Granite Countertops, Stainless Steel Appliances, Wood Floors in Living Room and Hallways, Crown Moulding, Gas Fireplace and MUCH MORE!